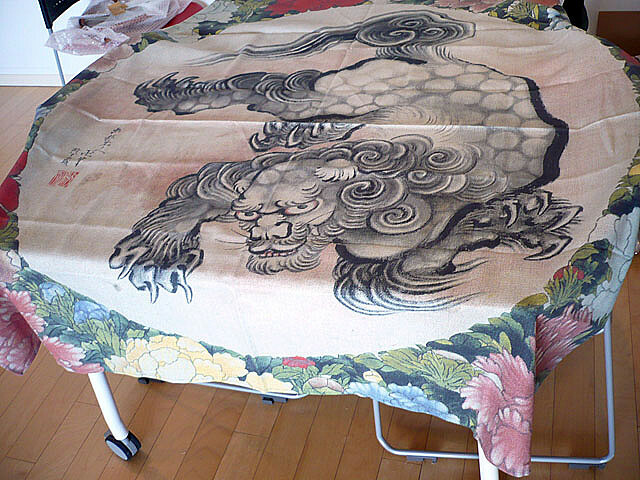 This is a beautiful digital printed table cloth, designed by Katsushika Hokusai (1760-1849). He is a print master, an artist in Japan that represents Edo period. and “Fuji 36 scenes” is especially famous.